Why is it the Facebook edition? because these are the businesses that I have shared on our Facebook page ( http://www.facebook.com/inlandnorthwestbusinesswatch ) since the last time I did one of these posts. Many new business get write ups on the main inlandnwbusiness.com website, but sometimes, for various reasons they only get mention on our social media pages. So if you not already following us... drop everything... go to http://www.facebook.com/inlandnorthwestbusinesswatch and click the like button! Oh, and don't forget we're on Instragram too @Spokane_business . I promise I'm going to do more on Instagram soon! Pine Valley Ranch , an apartment complex on Pines Rd. just south of 32nd is now pre-leasing their second phase which will be ready for residents to move into soon. Green's Fresh Market coming soon to Hillyard announced their grand opening will be June 19th. I actually did do a full post about their new business which can be found by searching on the top of the page. Pretty cool new market featuring local produce, foods and a lot more coming. Lilac City Acupuncture, PLLC is now open for business at 2925 N Monroe St.
Tsunga Northwest Arts is planning to open a unique new art gallery at 1114 S. Perry. They hope to be partiality open for business in time for South Perry Street Fair on July 15th. Idaho Youth Ranch has opened a new thrift store outlet at 6240 E. Commerce Loop in Post Falls. They also still have full thrift stores open in Post Falls and Coeur d' Alene. Rustic which is a quick service restaurant serving several different choices from panini's to pizza and more has opened business at 309 E. Sherman Ave in Downtown Coeur d' Alene. Inland Curry a branch off of Sandpoint's Curry in a Hurry started serving authentic Indian dishes out of the commercial kitchen space in the Spokane Women's Club building at 1428 W. 9th . At this time the meals are only available for pick up on Thursdays and pre-ordering is encouraged. Stolen Images Photography is now open for business in SoDo Spokane at 301 W. 2nd Ave.
Lucky Vintage & Pretty Things has re-located to a new space on the same road they we're on. Their new address is 1930 S. Inland Empire Way. Peace of Mind has expanded and opened a new location on the South Hill. That new store can be found at 2808 E. 30th Ave.
Old Joe Clark's which is the old time style photo studio in the Flour Mill has a new owner and they have moved to the Valley. They can now be found at 21 S. Thierman Rd. Beau Monde Clothing Outlet will be a new discounted / clearance type store of the popular Beau Monde Exchange clothing store in Hayden. The clothing outlet is being set up now and will open soon at 406 W. Neider ( shopping center with Dollar Tree / Grocery Outlet ) . Clark's Fork a new restaurant that has expanded to Spokane from Bozeman,MT is now open on the ground floor of the Matilda Building at 1028 N. Hamilton. Clark's Fork has breakfast, sandwiches, pastries and more. Titan Fitness is now open for business across the street from Northtown Mall at 112 E. Wellesley. Findlay Auto Group has taken over the former Consignment Furniture space in Post Falls and has since opened the Findlay Value Lot there. Dutch Bros. Coffee is building a new location in the Valley nearby the corner of Sprague & Mullan / Argonne. Wildflowers Vintage is now open for business in Millwood at 3201 N Argonne Rd. Little Kyoto a new Japanese style restaurant that features a good sized selection of Sushi rolls is now open for business in Hayden at 11050 N. Government Way. Pal Outlet is a new small pet supply store now open in Spokane Valley at 1439 N. Argonne Rd. RC Addicts is a new retailer specializing in Remote Control cars and the like. They are now open at 14109 E. Sprague Ave in Spokane Valley. Spokane Vitamin & Mineral is a new vitamin / supplement store now open at 12623 E. Sprague Ave in Spokane Valley. Balboa Capital has opened up a new office in Kendall Yards. They can be found below the Windermere real estate offices there. Inthreadz is a new local tailoring business that growing quickly. They opened in Coeur d' Alene a few months ago and are now open on the South Hill of Spokane at 3022 E. 57th Ave suite 16. I'm also told they have plans to add locations in Downtown Spokane and Airway Heights coming up. The Coffee Market a local retailer of coffee accessories such as flavors,etc to both coffee stands and the public... has re-located to a new space at 2623 W. Seltice Way in Coeur d' Alene. Tails Foundation is setting up shop on their new, significantly larger thrift store space that now will include a community center area in Coeur d' Alene. The store will be at 3513 W. Seltice Way . American Family Insurance- Jana Pool Agency is planning to re-locate their offices to the newly built shopping center at the corner of Cecil & Mullan in Post Falls. A new tenant for the former JC Penney store at U City? U City Mall, the actual enclosed mall portion, is now long gone. Demolition cleared the actual mall section away a couple of years ago after in became obvious re-development likely would not happen with the building falling into dis-repair after being rarely used since it was shut down. The anchor store spaces however remain. The building that housed the Valley location of The Crescent is now only partly used by a private place called Group Photographers Association who acts primarily as a photo lab for youth sports photographers. The eastern end however has a few tenants including Rosauer's but it is in more of a strip mall type set up. Towards the middle remains the last completely empty former anchor store of U City, the former JC Penney store. And, it looks like it won't be empty too much longer, although don't get too terribly excited as the tenant isn't a new store or a new restaurant, it's U Haul who appears to be planning on remodeling the structure into a large 3 story ( including basement ) indoor storage facility. This would likely be similar to U Haul's other indoor storage complex they own in Coeur d' Alene visible from I-90 near the US 95 exit. 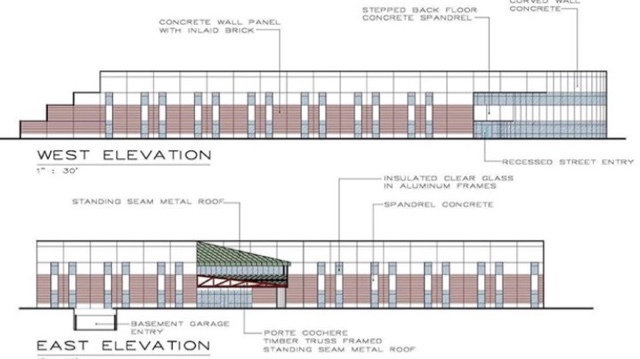 They are currently still developing their plans but it appears they plan to use the entire building which has about 42,000 square feet of space on each floor. This would make way for many storage units of varying sizes all with interior rows allowing access to only those with clearance , an added security feature over the outdoor mini storage centers. 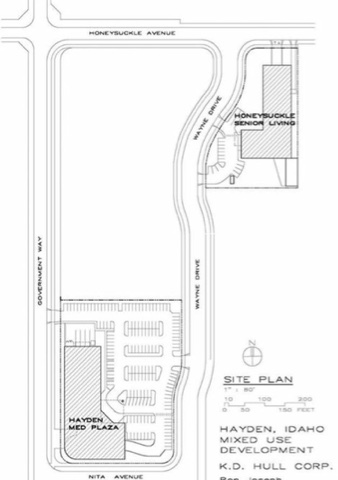 A 2000 square foot showroom area is also shown in the plans on the northeast side of building, likely to manage the storage units and probably to rent U Haul trucks. The southwest side of the building also features a 4500 +/- square foot space for U Haul's U Box program which is similar to Pods. The U Box boxes would be stacked 2 high by employees in this small warehouse area. We'll keep an eye on this project and also noteworthy is U City's site is also becoming the home of the Spokane Valley city hall with that building under construction and starting to look pretty nice. We'll have more on that likely in the future. European Wax Center, a large chain of waxing studios is coming soon to the Spokane area. This news comes as a franchisee of the company has secured a lease on a 1900 square foot storefront at 506 N. Sullivan Rd suite E in Spokane Valley. This is in the same strip mall as a Starbucks and the UPS store, the lease was arranged by Steven Pohl & Drew Ulrick of NAI Black. The European Wax Center company is based in Hallandale Beach, Fl. and has over 800 locations in 41 states. This will be their first ever location in the Inland Northwest, however they do already have locations around Portland and Southern Idaho. As the name implies the business does waxing, waxing of all sorts and says they are " revealing beautiful skin " . They also offer a Wax Pass, allowing customers to pre-pay for their waxing services. But, of course they also take single appointments as well. In addition to waxing, European Wax Center also sells a line of brow, body and skin care items under the Strut 365 brand name. This new business opening also will likely create a few new jobs but it doesn't appear that hiring has started as of my writing this. The Del's Feed and Farm Supply chain has closed up shop in Cheney, but the building that housed the store won't be empty long as another business has come forward and announced they are planning a store there. The new business is also in a very similar industry just a more local company. Basin Feed & Supply, which currently operates stores in Moses Lake & Kennewick will open a new store in the former Del's building with no opening date set just yet, although Basin Feed is already working on setting up shop. The new business will occupy the entire 18,000+ square foot building at 2222 W. 1st and will sell the same products as their other 2 locations. Basin Feed & Supply sells a large selection of farm and ranch supplies with cattle being a big focus for the company. They also have dog & cat food and the Kennewick store does trailer sales although they don't mention if that portion of the business will be offered in Cheney. The business doesn't seem to have one main website but keep and eye out on this site and our Facebook page for more information in the near future. The City of Hayden, like much of America is aging and with an influx of new residents moving into the small North Idaho city the demands for health care are growing. This is major reasoning behind a new development now being proposed by Spokane based developer K.D. Hull Corp. who is the same group behind Spokane's Iron Bridge Office Campus. The development is being called the Hayden Medical Plaza and will consist of a two story, 59,000 square foot modern office building with both an above ground parking lot and a underground parking garage below the building able to park 166 cars. This office building will rise at 8521 N. Wayne Dr , just off of Government Way and just south of Honeysuckle Ave. Currently there are no tenants announced for the site but marketing and leasing work is underway with the plans being in place to open the doors the building in 2018. Further north on Wayne Dr. however is another development that will tie in well with the Hayden Medical Plaza plan. K. D. Hull Corp. also plans to build a new building called Honeysuckle Senior Living on the southeast corner of Wayne Dr. and Honeysuckle. This facility will be a new senior housing option and while it is not a high rise it will surely dominate the skyline of Hayden's city center. That's because Honeysuckle Senior Housing will be a six story, 20,000 square foot (per floor ) complex with an underground parking garage just like the Hayden Medical Plaza building. In all this new senior apartment building will have about 70 apartments with the ground floor set aside for activity areas and a pool. The entire development also boasts quite the location, being just a short drive east of US 95 and the Hayden Wal Mart and an easy trip south into Coeur d' Alene. Several restaurants , stores, banks, etc.. also dot the development's immediate area. In case you haven't heard, Mediterrano a quick service restaurant from local business person and icon Shahrokh Nikfar has closed it's doors. However his other business, a coffee shop called Caffe Affogato also in Saranac Commons building at 19 W. Main remains open for business. But just like magic another new eatery is coming to the small space being vacanted by Mediterrano. We're learning it will be called The Biscuit Wizard and will be an operation of another well known local name, Chef Jeremy Hansen who already owns the Common Crumb Bakery also in the Saranac Commons building, among a couple of other local resturants. 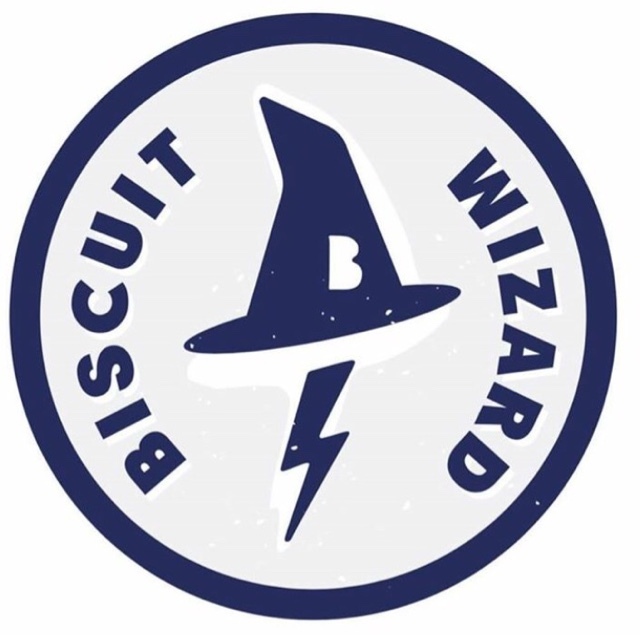 The plans for The Biscuit Wizard are still being brewed up so watch for updates on it in the coming weeks. However Chef Hansen did elude to what the new space might be in a recent article to my competition over at the Spokesman Review. He told them that the menu will likely be biscuits in the morning, sausage burgers at night plus street food style bites and walk away smorgasbord items. We're learning of yet another retail tenant planning to open up shop at Kendall Yards. This time it's Fleet Feet Sports, a sports retailer that focuses primarily on the running scene with footwear, appeal , sports bras and more. Fleet Feet is a small chain, but operated under a local operator and many will note they already have a couple of stores already in our area. This includes a store at 1303 N. Washington St. just east of Spokane Arena which, we assume, will relocate to Kendall Yards instead of operating both so close together. It appears the store will take a portion of the currently under construction " bluff building " next door to Spa Paradiso on Kendall Yards' main street, Summit Pkwy. They will also soon be joined by Maryhill Winery who also plans a tasting room for the their award winning wines in the same building. Chaps Diner & Bakery is also planning a small coffee shop just feet to the east of their planned store site called Paper & Cup. Shortly after learning that RadioShack is basically now a thing of the past, yet another long running retailer has come out with a long list of store closures. Payless Shoesource is that retailer and they are planning to close the doors forever to as many as 800 of their stores. Positive news is that the recently released Payless store closure list shows no store closures in Idaho. However, Washington hasn't been so lucky with a total 14 stores statewide on the closure list and of those 2 locations are in Spokane. There is also good news in that Payless Shoesource will still ( for the time being at least ) be open for business in the Inland Northwest. Payless has 3 stores in the Spokane area that are to stay in business and another 3 in Kootenai County that are not included. All of these store closures are a direct result of Payless ShoeSource filing for bankruptcy a few weeks ago. Payless Shoesource is the largest footwear only retailer in the nation, with a corporate HQ in Topeka,KS. it even now is a large company with the company reporting 4400 stores world wide ( before the closure lists we're announced however, so now 3600 ) . It has been considered one of many brands that "over stored" themselves like we've seen before with Rite Aid and appear to be staring to see with Subway.